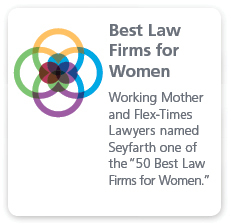 Seyfarth’s Technology Transactions Team has significant experience in technology transactions and the technology industry. Our cross-disciplinary team of 20 attorneys have represented some of the world’s largest companies, as well as innovative growth and start-up companies in creating, enhancing, licensing, selling and acquiring intellectual property and technology assets. Our focus is not just on getting the deal done, but helping clients gain a true competitive advantage. We work with clients to identify and exploit their technologies, and draft, negotiate and structure agreements that derive the full value of intellectual property and technology assets. 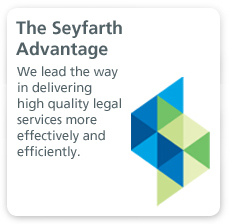 As part of representing clients in technology related transactions, Seyfarth also has developed broad relationships with organizations that provide capital to emerging, innovative start-up technology companies. Our firm proudly sponsors Cornerstone Angels, The Entrepreneurship Institute, and the Association for Corporate Growth in key markets. Our lawyers have handled some of the most complex and strategic multinational sourcing transactions ever undertaken, with total contract value in the billions of dollars. We work closely with our clients to create lasting, effective, value-driven relationships between technology suppliers and service providers, and their customers. 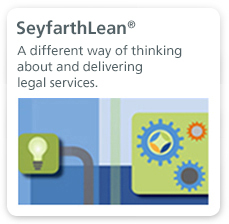 Several large, multinational clients have engaged Seyfarth Shaw in connection with high-volume contract review, because of our innovative approach to the unbundling of services to manage, streamline and reduce the cost of such review. The processes we have developed help companies increase efficiencies, leading to more consistent quality and cost effective transaction processing.